The Eze team came to us with a unique set of requirements for their site. 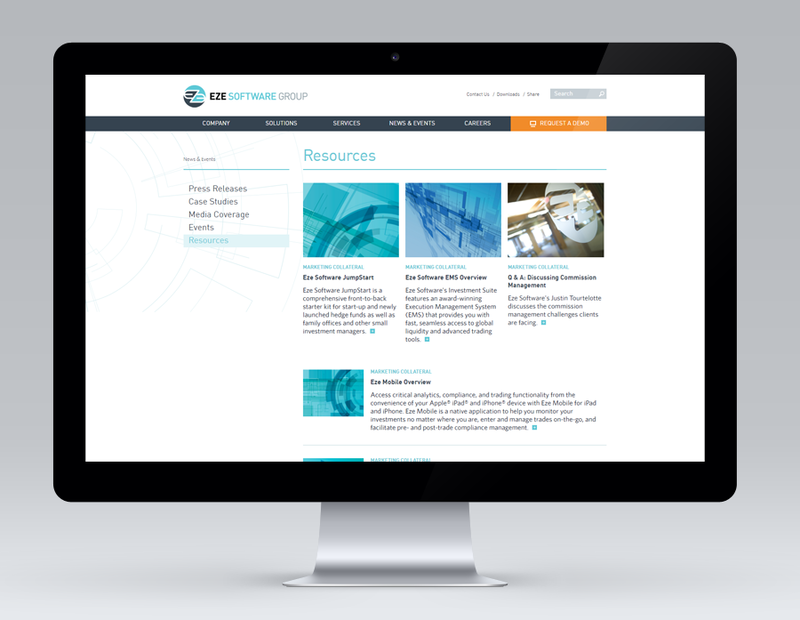 To celebrate a company restructuring, Eze Software needed a brand new site that would appropriately showcase their suite of advanced products, solutions, associated resources, and marketing collateral. In partnering with Stoltze Design, the Knectar team designed an industry-unique Long Format page created with a series of Blocks (based on our in-house Blocks Placer module) that break down in a fully-responisve drupal design manner without any user input. 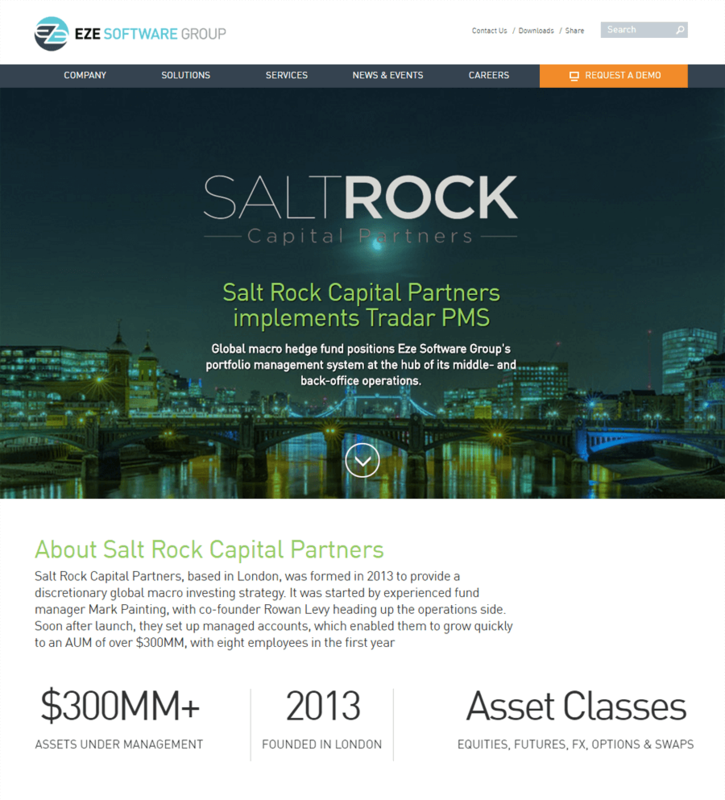 This unique content type allows the Eze team to design individual pages in the fashionable “long scrolling” format, without needing any additional assistance from either design or development teams. Complex logic on the backend means that no matter what is designed by the user, it will display beautifully on the front-end in a fully-responsive manner. In addition to the Long Format page, Knectar also created a custom mail routing solution. 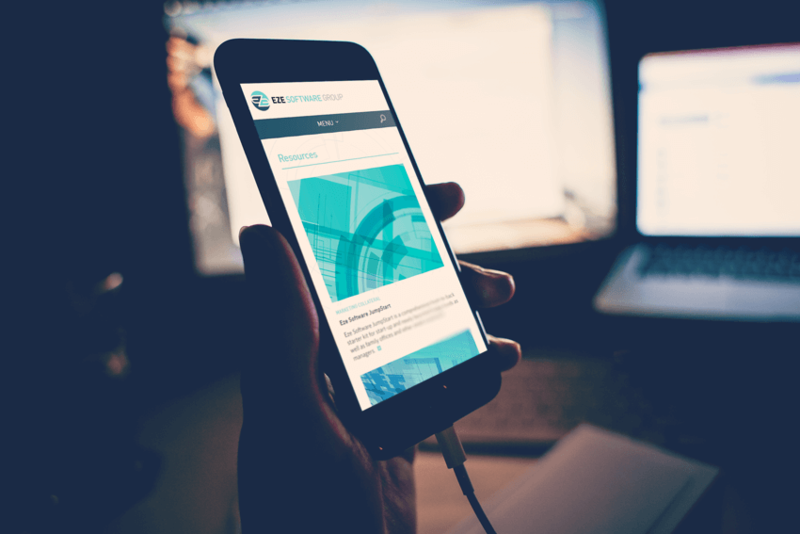 With a large focus on the brochure aspect to the website, the Eze team needed to make sure that any client leads were being sent to the correct internal team, depending on client location. 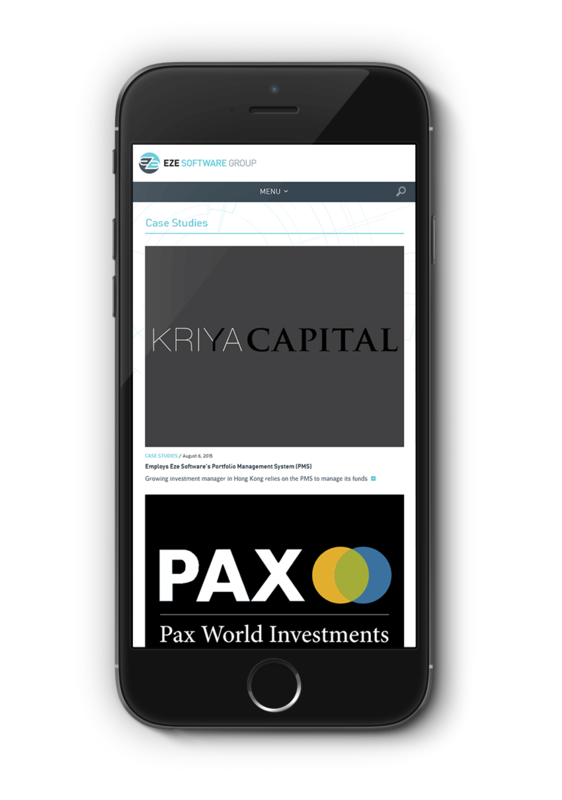 With their new site, they have the ability to create “Mail Groups”, giving them the ability to specify the email addresses that get alerted to submissions from various global regions. Using Knectar’s own “Blocks Placer” module, we designed an intuitive interface that allows a content editor to create unique Long Format/Long Scrolling pages with a few clicks of the mouse. By drawing from a large library of custom user-created blocks, each Long Format page can share the same elements as other related pages, or have completely unique blocks. Knectar also designed a custom solution to handle the incoming prospects submitted through Eze Software’s demo and product information forms. As a international company, Eze wanted to make sure that the submissions were getting immediately sent to the correct office, instead of sitting in a bulk submission inbox for someone to filter through. However, with the potential for office expansion in the near future, Eze needed these mail destination assignments to be an easy, user-friendly task. Knectar developed a unique interface to make this an easy task for any regular content editor. 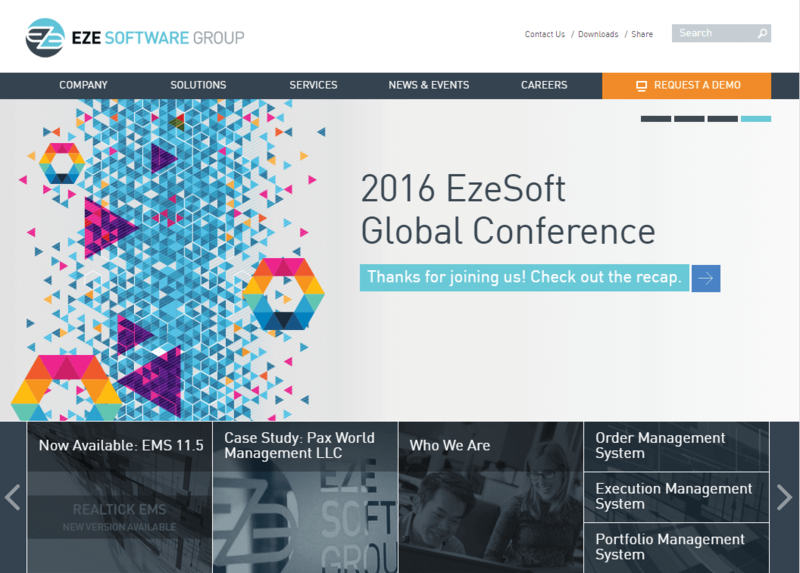 Although the Eze Software site has only one News & Events area, they have three distinct products. There was some concern about news articles and events about Product A being pulled into the dynamic area news area of Product B, creating a disjointed and confusing experience for users of the site. The Eze team wanted to make sure that each piece of news or specific event ended up on the pages where they made most sense, so the Knectar team developed the “push” content workflow. When a user is creating a piece of news or an event, they can specify exactly what pages this content will appear on with an easy interface. (Provided that the page has a dynamic block enabled.) This allows the Eze team to fully customize the experience of users on their site, making sure that the right content is in the right place at the right time; a truly critical goal when one site is representing three different product lines.